Please read through the below steps first before installing any software. If you are attempting to restore an offsite backup onto a new server go directly to STEP 2. If you are a multigym facility, or a single facility with many workstations, it is HIGHLY recommended to use the SAME Static IP address on the new server, so all the local workstations, and the remote server, know where to find the server. Otherwise, all local workstations will have be reconfigured to find the new IP address on the server. Multigym facilities will have edit the IP Address in the Remote Database Control Panel. If you are on an RGP Paid Plan, then you will need to make sure you have saved, and can access, your RGP Plan Activation Key and Online Group Key. 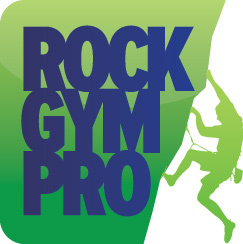 If you do not have this information saved, then please contact: support@rockgympro.com and we will send you the information. You will need your Plan Activation Key to access your Offsite Backup Archive for a database restore. You will also need your MySQL Password and Encryption Key, which were created by someone at YOUR facility. If you do not have access to this information, again, please contact support@rockgympro.com and we will send you the information. Make a current backup on your “old” server and send it offsite to RGP. You can make a backup by going to Data Entry -> Manage -> Maintenance -> Backup and Restore Database and press Execute Backup Now. Be sure it transfers offsite. Confirm the backup transferred via Data Entry -> Manage -> Maintenance -> Backup and Restore Database - Offsite Archive tab. Then change the old server to be a different IP address. Launch Rock Gym Pro's Data Entry and go into Manage -> Settings and REMOVE the Plan Activation Key and Online Group Key. In Control Panel, Stop the MySQL service on the old server and disable the MySQL Service from starting on boot. This will prevent someone from turning on the server in the future and having it go live. Then power down that server. On the new server, assign the SAME IP ADDRESS as the old server. Then you would not need to reconfigure your RGP workstation via the RGP Configuration Wizard to connect to your server. And for multigyms, you will not have to edit any of connections over your VPN to the other locations. It is almost "mandatory". Download RGP and install MySQL ODBC driver and MySQL Server 5.0 on the new server computer. You may need to install .NET on your new computer if so follow these instructions. When installing and configuring MySQL Server, you must use the same MySQL Root password you created on your ORIGINAL installation of RGP on your “old server”. Details on installing MySQL is available in this video. Please watch the video as it shows the specific MySQL settings that need to be configured. Create a new, blank database on your new server, as if you are starting RGP from scratch, but use the same database name for your new database restore (more information below). Then click Cancel after obtaining the name of your database. After you have installed RGP, MySQL ODBC driver/connector and MySQL Server 5.0 from within RGP, then…. Go to Data Entry -> Manage -> Settings and enter in your RGP Plan Activation Key ONLY- DO NOT ENTER THE ONLINE GROUP KEY. If you did not save your RGP Plan Activation Key and/or Online Group Key, please contact support@rockgympro.com to obtain this information. Your Plan Activation Key is needed to access your offsite archive backups stored via RGP. DO NOT ENTER THE ONLINE GROUP KEY, as you will NEED TO RE-ENTER your RGP Plan Activation Key after your data has been restored, and at this time, after your restore, you will enter the Online Group Key. Next, verify your workstations are connecting back to your NEW server. Go to a workstation and open Data Entry, if you connect to the new server, then you do NOT need to point your workstations to the new server. But you will need to look at Step #5. **You are now ready to point all your RGP workstations to the new server via the Rock Gym Pro Configuration Wizard. On your workstations: Search for: Rock Gym Pro->Configure-Rock Gym Pro and configure your workstation to connect back to your new server. Step 5 - Stop and Uninstall MySQL on your old server. IMPORTANT! It is critical that MySQL is stopped and uninstalled on your old server. This will prevent workstations from accidentally connecting to this database and causing grief. Additionally, if Rock Gym Pro is launched on the old server it will download waivers and online transactions and cause all sorts of grief. On your old server go the Control Panel -> Administrative Tools -> Services. Locate MySQL and select Stop the service. Control Panel -> Programs and Features -> Locate MySQL Server 5.0- Right click and select uninstall. After MySQL Server has finished uninstalling go to…. Right click on the MySQL Server 5.0 Folder and select Delete. You may need Administrative privileges to delete the folder. Now that the computer has been cleaned of MySQL, you can use the RGP configuration wizard to configure your “old server” as a new RGP workstation. If you do not follow these steps- Exactly- then MySQL will NOT be uninstalled and will give you grief IF you use your “old” server as a RGP workstation in your facility. All computers running RGP must have access to the following internet locations. If you have any type of internet block/filter in place, please modify the list to allow access to these URLs.